The NFL is all about competition–on the field and off. On the field, the teams fall into rankings themselves. But off the field, it’s really up to each team’s fans to show support. Here’s our ranking of the AFC teams based on the success of each team’s franchise and the durability of their branding. Despite playing for over 20 years, the Jags franchise has yet to establish a true “brand.” On the field, the organization has seen very little success and has had a revolving door of players and coaches. When it comes to their branding, they’ve experimented with bizarre uniform designs, which are often mocked by commentators. Most expansion teams take a while to become ingrained in the fabric of their community, but for the Jaguars that timeline is at two decades and counting. The Bengals have to share Ohio with two of the most devoted football fan bases in the nation, the Cleveland Browns and Ohio State Buckeyes. Unfortunately, they’ve remained in a distant third place for most of their existence. Outside of their Midwest media market, the Bengals don’t have much of a presence. With the exception of a few promising seasons recently, the Bengals remain “that other team in Ohio,” and it doesn’t seem like that’s going to change any time soon. Buffalo, NY is almost in Canada, and for most NFL fans, the Bills might as well be a CFL team. In all fairness, they probably would have won one those four Super Bowls in the early 90s if they had played the Toronto Argonauts instead of the Cowboys. The Bills’ brand has suffered with generic uniforms, rosters, and a stadium that only gets media attention when it fills with snow (yes, it fills up with snow). There have been signs of life recently with the signing of the ever-entertaining Rex Ryan as head coach, but until the team does something significant on the field or in the marketing department, it will remain near the bottom of this list. Considering the franchise didn’t exist until the early 2000s, the Texans have done a decent job of establishing themselves in the NFL ranks. Their uniforms are red, black, and intimidating; their logo is an interesting mix of abstract art and Texas pride; and they field a competitive team every few years. As long as they are sharing the Lone Star State with “America’s Team,” the Texans will continually face an uphill battle. So far, however, that battle is off to a pretty solid start. When the Houston Oilers relocated to Tennessee, they kept the red, white, and baby blue color scheme, and applied it to a uniform that would look more at home in the Arena Football League than the NFL. While that uniform was mocked in the late 90s, eventually a lot of teams (Buccaneers, Seahawks, etc.) followed their lead with similar designs. The Titans got off to a quick start in the their new home when they made it to a Super Bowl early in their existence, but the last decade has not been kind to the team. Besides their bright red uniforms and their “good guy” image in their rivalry with the Oakland Raiders, the Chiefs are not known for much else. While they do have an extremely dedicated fan base in the Midwest, the Chiefs are normally not on the national radar in terms of nationally televised games, marquee players, or merchandise sales. ESPN’s Chris Berman contends every year that the powder blue, white, and yellow Charger uniforms are the best in all of sports. The team’s merchandise, however, has not really been a hit outside of southern California. Perhaps it’s because the team has consistently disappointed in the playoffs. Whatever it is, the Chargers have consistently struggled to create a national brand. Things were looking up for the Colts during the Manning era, when they were coached by Hall of Famer, Tony Dungy. The team had an electrifying roster including players like Marvin Harrison, Reggie Wayne, and Edgerrin James, and played in two Super Bowls (one of which they won). Once this core was dismantled, however, the Colts took a giant leap backwards in terms of national recognition. Similar to the LA Clippers, the Chicago White Sox, and the New York Islanders, the Jets will never be “the team” in their city. 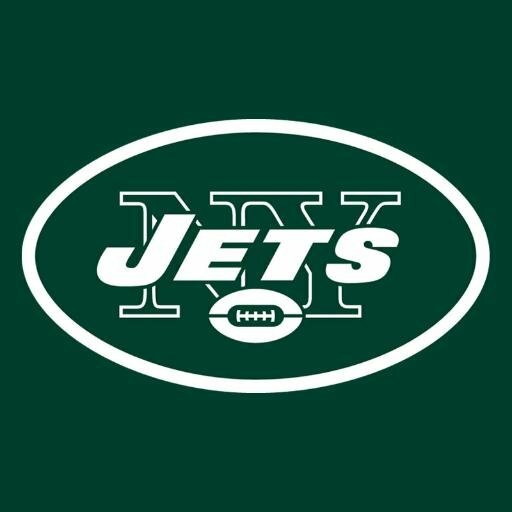 Since winning Super Bowl III, the Jets have had a rough time living in the shadow of the continuously competitive Giants, which has left them with a perpetual “Little Brother” feel. It doesn’t help that they also share a stadium with the Giants, which, until recently, was actually called Giant Stadium. The Broncos play in the somewhat lackluster AFC West and have done a good job of establishing themselves as the classy team of that division. The team’s popularity waned somewhat in the 00s but their acquisition of Peyton Manning and subsequent Super Bowl runs gave the Broncos one of the NFL’s truest “feel good” stories of the last few years. Few NFL uniforms match the vibe of their city as nicely as the Miami Dolphins. Even when they have no marquee players on the roster, the Dan Marino retro remains a popular seller. The Dolphins haven’t necessarily been a dominant team since Three’s Company was a hit show, but the team’s South Florida aesthetic and connection to Miami’s celebrity culture keeps them in the company of the league’s most popular teams. In over a century of professional sports in Cleveland, the city had never won a championship until LeBron James and the Cavaliers brought the NBA title to Ohio this year. 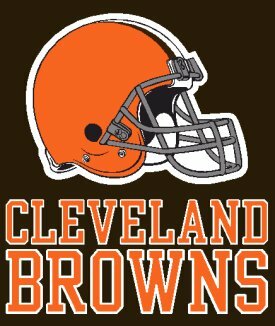 If you look at their rabid fan base, however, you would never know the Browns have experienced decades of futility. The Browns have branded themselves as a working man’s team, and done a great job of selling their blue collar aesthetic to fans across the nation. With Brian Billick as head coach, along with a team stacked with star players like Ray Lewis, Jonathan Ogden, and Terrell Suggs, the team won two Super Bowls and put Baltimore back on the pro-football map. The “Purple People Eaters” have been consistently competitive on field since the late 90s, and have done an even better job of branding themselves as the tough-as-nails defensive juggernaut of this era. Until the turn of the 21st century, Boston was clearly a baseball and basketball town that happened to have an NFL franchise. That all changed in the early 2000s, when head coach Bill Belichick and quarterback Tom Brady started their run of dominance over the rest of the league. The Patriots have since branded themselves with an air of professionalism and excellence rivaled only by MLB’s New York Yankees. For almost fifty years, the Oakland Raiders have been the NFL’s outlaw franchise. The team embraced this image under iconic owner Al Davis, and it has worked pretty well for the franchise over the decades. They won several Super Bowls before hitting their current rough patch. But even when the team is nowhere near playoff contention, the Silver and Black continues to be a national brand. No team in the NFL–or arguably in all of professional sports–represents their part of the country better than the Pittsburgh Steelers. The team has fully embraced their Blue Collar image since their inception, going as far as naming the team after western Pennsylvania’s most well known export. This early branding immediately endeared the team to not only steel workers, but to blue collar workers everywhere. The Steelers quickly became the team of the people. Over the decades the team has had a steady stream of no-nonsense coaches and players known more for toughness and teamwork than prima donna antics. This formula has not only been successful on the field, but has allowed the Steelers to maintain a brand image that has attracted an incredibly devoted nationwide fanbase that rivals any in professional sports. Angelo Gingerelli is a New Jersey native, stand-up comic, streetwear enthusiast, and avid hip-hop fan. He has been writing for various publications since 2009 and currently contributes to Pop-Break.com, FifthRoundMovement.com, and Rush Order Tees. Learn more about Angelo on his website and on Twitter @Mr5thRound.